Sadie and I have been having fun while on holidays looking at and listening to the Activators on www.TheActivators.net. Sadie’s favourites are the high energy, bubbly videos that run between 1 and 3 minutes long. Perfect for a 2 1/2 year old. They also have some photo pin ups that are great for the fridge. We have been using the printable coloring pages, paper crafts and activity pages as well. As soon as you go the website you are greeted with primary colors and a moving home page. Be sure to check out the shop for great items such as Cd’s, hats and Gym gear. 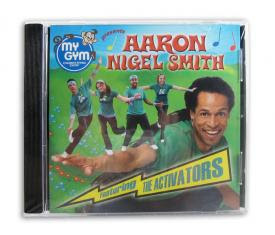 The Activators are great for a rainy or snowy day when you just can’t get outside and burn off your energy there.